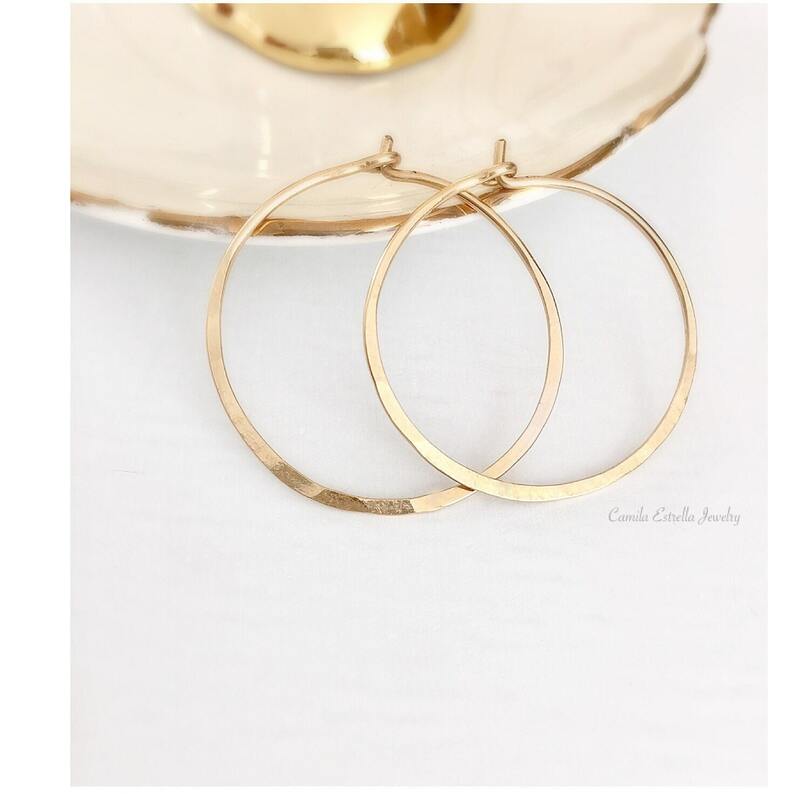 Gorgeous earrings, 14/20 hoops with hammered details. These are perfect for wear-every-day gold hoop earrings. If you like simple, dainty and Unique jewelry, these earrings are perfect for you. They make an elegant, versatile gift. We Love it. All items are made to order. Please check the our policies page, our time to works is 1 week in business days or for the update production and delivery times please check the top on the announcement page. If you need it sooner, please send us a message on Etsy.